Cuireadh tús le tionscadal Dúchas in 2012, nuair a cruthaíodh cartlann dhigiteach d’ábhar Bhailiúchán na Scol agus córas saincheaptha bainistíochta sonraí agus eagarthóireachta d’fhonn an t-ábhar a innéacsú. Forbraíodh agus dearadh comhéadan poiblí chun an t-ábhar digitithe innéacsaithe a chur ar fáil don phobal. Foilsíodh 80% (c. 64,000 mír) d’ábhar ceithre chontae (Baile Átha Cliath, Dún na nGall, Port Láirge, Maigh Eo) as Bailiúchán na Scol ar www.dúchas.ie i mí na Nollag 2013. Le linn na tréimhse Eanáir 2014–Nollaig 2016 rinneadh digitiú agus innéacsú ar imleabhair cheangailte uile eile Bhailiúchán na Scol mar aon le sciar de chóipleabhair ó na scoileanna úd nach bhfuil ábhar uathu san áireamh sna himleabhair. Anuas air sin, rinneadh forbairtí breise ar an gcartlann dhigiteach, ar an gcóras bainistíochta sonraí agus eagarthóireachta agus ar an gcomhéadan poiblí. Forbraíodh acmhainní breise (bunachar sloinnte, Meitheal Dúchas.ie agus sainchuardaigh áirithe, mar shampla) chomh maith. Bhí Taisclann Dhigiteach na hÉireann (DRI) comhpháirteach i ról comhairleach maidir le caighdeáin agus idir-inoibritheacht sa chartlannaíocht dhigiteach. Is é sprioc na céime reatha (2017-19) leanúint leis an obair forbartha, digitithe agus eagarthóireachta, ag díriú ar an mBailiúchán Grianghraf agus ar an bPríomhbhailiúchán Lámhscríbhinní. Seoladh suíomh athdheartha agus leagan digitithe de Bhailiúchán Grianghraf Chnuasach Bhéaloideas Éireann i Meán Fómhair 2017. Roghnaítear conraitheoirí speisialaithe leis an ábhar a dhigitiú de réir an dea-chleachtais idirnáisiúnta. 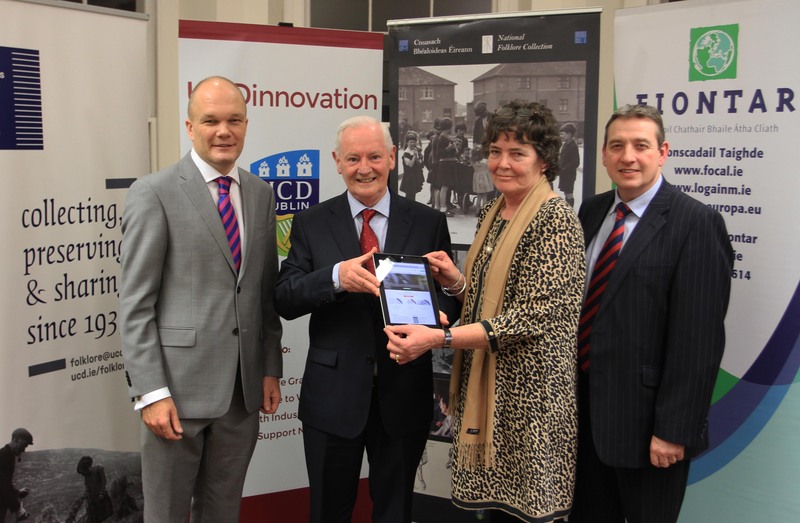 Déanann Cnuasach Bhéaloideas Éireann óstáil ar an gcóip chartlannaithe den chnuasach digitithe, i gcomhar le Leabharlann Dhigiteach UCD. Déanann Fiontar & Scoil na Gaeilge óstáil ar an gcóip chraobhscaoilte den chnuasach digitithe. 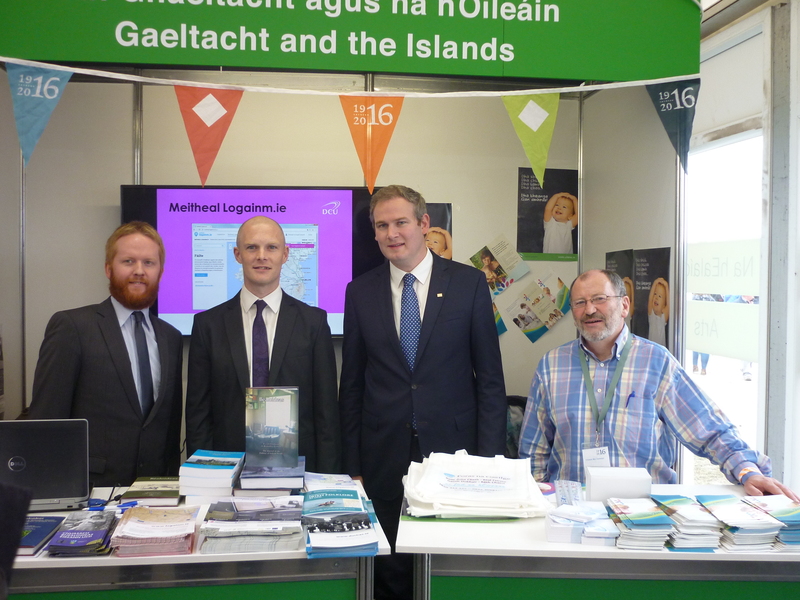 Tá innéacsú an ábhair béaloidis sa chartlann dhigiteach á dhéanamh ag Cnuasach Bhéaloideas Éireann, UCD, agus ag Fiontar & Scoil na Gaeilge, DCU. Tá seiceáil ar siúl ar an obair seo ar bhonn leanúnach (agus is féidir earráidí a chur ar ár súile dúinn: eolas@duchas.ie). Sheol Donnchadh Mac Fhionnlaoich, an tAire Stáit sa Roinn Ealaíon, Oidhreachta agus Gaeltachta, an tionscadal ar an 17 Nollaig 2013. Sheol Seán Kyne, an tAire Stáit sa Roinn Ealaíon, Oidhreachta, Gnóthaí Réigiúnacha, Tuaithe agus Gaeltachta, imleabhair uile Bhailiúchán na Scol ar an 21 Meán Fómhair 2016. 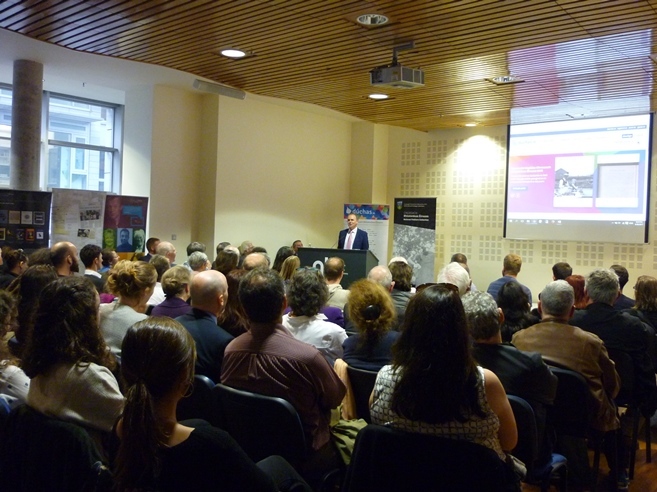 Sheol Príomh-Aoire an Rialtais agus Aire Stáit don Ghaeilge, don Ghaeltacht agus do na hOileáin, Joe McHugh T.D., suíomh athdheartha dúchas.ie agus leagan digitithe de Bhailiúchán Grianghraf Chnuasach Bhéaloideas Éireann ag ócáid i Leabharlann Náisiúnta na hÉireann ar an 26 Meán Fómhair 2017. Léigh an bhlagmhír anseo. Príomh-Aoire an Rialtais agus Aire Stáit don Ghaeilge, don Ghaeltacht agus do na hOileáin, Joe McHugh T.D.